Tess Holliday is the world’s first size 22 supermodel and the first woman of her size signed to a major modeling agency. She’s known as much for her groundbreaking achievements as she is for her willingness to speak her mind. She once slammed Victoria’s Secret for limited beauty standards. Now, she’s addressing criticism that her size makes her unhealthy in a new interview with Paper Magazine. We haven’t seen an issue of POP magazine in a hot minute, but the title reminds us of its existence by unveiling its upcoming Spring/Summer 2016 edition this week. In true biannual magazine fashion, POP serves up multiple covers, putting out three different covers that have surely caught our attention. 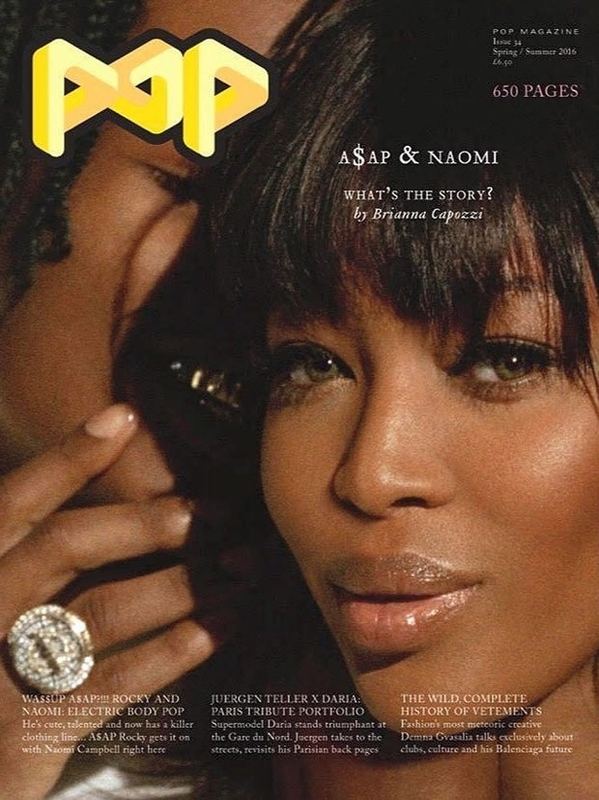 Naomi Campbell and A$AP Rocky cozy up on cover one by Brianna Capozzi, Natalia Vodianova fronts the second by Harley Weir, while Daria Werbowy poses for Juergen Teller for the third and final cover. But our forum members weren’t buying any of the covers. “What the hell is this?” asked a horrified Royal-Galliano with Creative shortly adding, “Not cool at all,” the moment the covers surfaced, unwilling to set the discussion off on a positive note. Back in bed with @justinbieber. Introducing the Spring 2016 Calvin Klein global advertising campaign. Photographed by Tyrone Lebon. #mycalvins Stay tuned for more. Calvin Klein wants its next ad series to go viral. Riffing on the personalize method that made the Straight Outta Compton meme a hit, Calvin Klein’s pushing the tagline “I ________ in #mycalvins” and asking their famous spokespeople to fill it in. It’s the sexiest game of Mad Libs ever. Ben Stiller is Down Under promoting the sure-to-be-frothed-over Zoolander 2 movie hitting cinemas this Feb, and while he may have (gracefully) aged a few, the actor has still got the Blue Steel thing down pat. If his recent Vogue cover shoot and addition to Mario Testino’s Towel Series wasn’t enough to prove that Ben’s iconic character Derek Zoolander has still very much got it, he also stopped by The Project last night, January 26, to put the panel’s Waleed Aly’s posing game to shame. 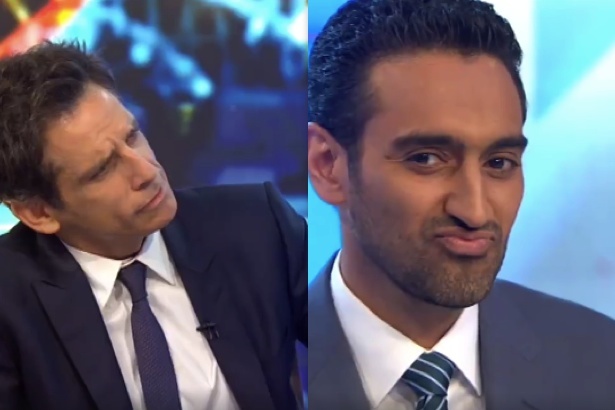 Watch the pair have a Blue Steel off in the video below, and be sure to set Waleed’s efforts as your screensaver. We’re not getting over this anytime soon. Zoolander 2 hits Australian cinemas on February 11, 2016. Until then, you can watch the trailer here. On Christmas morning in 2011, Madonna Badger lost her three young daughters and her parents to a tragic house fire. It was an unthinkable ordeal that received national attention. Today, she’s honoring their memory with her #WomenNotObjects campaign, underscoring the harm inflicted on a young woman’s self-esteem when she’s bombarded with sexist ads. Badger hopes her campaign will have a lasting impact and industry leaders are already taking notice. The United Nations organization, UN Women, even shared the video with its 860,000 Twitter followers. Here’s hoping other ad agencies will follow her lead. Vogue Japan just seems to be going from bad to worse and 2016 is starting to look very bleak for the magazine. 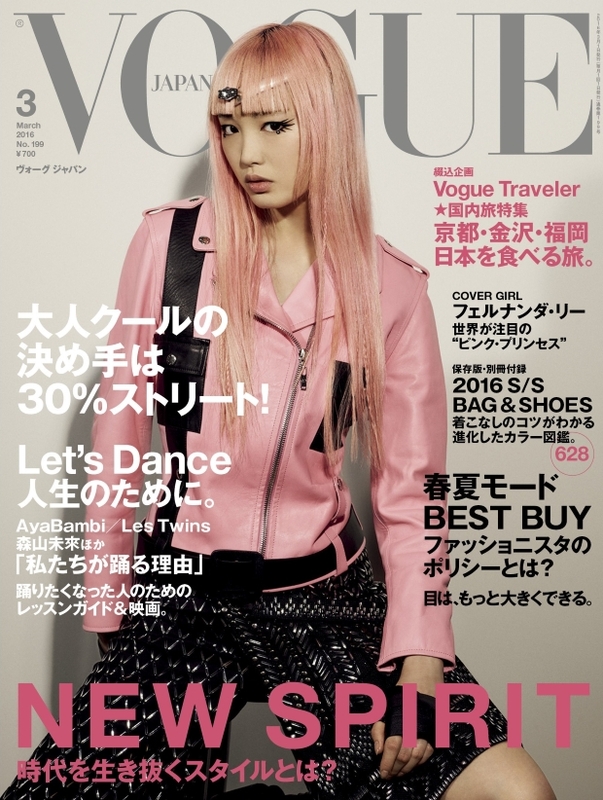 Now three issues in and still failing to deliver the goods, Japanese Vogue‘s March cover has once again dropped early and features Fernanda Ly. The current muse of Nicolas Ghesquière was shot wearing head-to-toe Louis Vuitton by photographer Ezra Petronio for the cover, which looks as if it was taken backstage — and our forums weren’t afraid to call the publication out. Our forums were far from impressed. “So tired of seeing Fernanda in this kind of styling. As if she’s not capable of doing something else,” stated anlabe32 the second the cover came to light. “What? This looks HORRIBLE!! Cheap, insipid, outtake worthy image. You can’t give me this for March!! !” Miss Dalloway screamed in dismay. “It’s not the first time with the backstage styling. Freja’s cover [from December 2015] was the same LOL,” laughed Scotty. “OMG it’s so bad. I just can’t handle to see her dressed like this anymore and it looks like those Japanese magazines for teenagers. Really disappointed by this cover,” exclaimed Oxymore. Are you pleased with Vogue Japan’s new cover? Join our debate here.